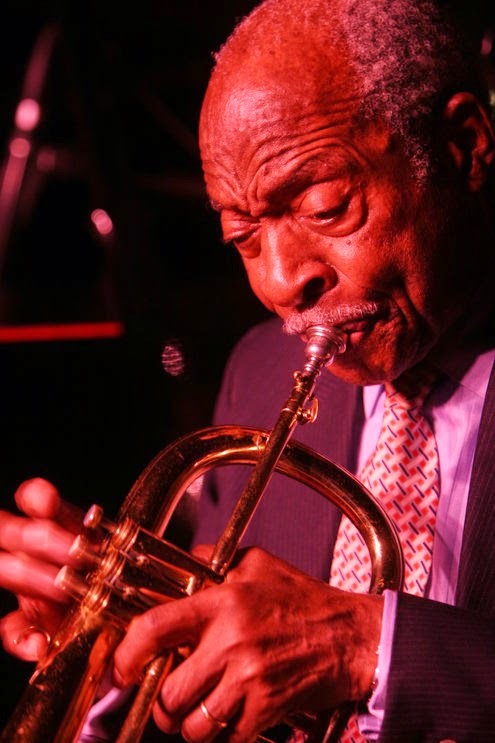 Joe Wilder, a lyrical trumpeter who played with some of the biggest big bands in jazz and helped integrate Broadway, radio and television orchestras, died on Friday in Manhattan. He was 92. His death was confirmed by his daughter Elin Wilder-Melcher. Mr. Wilder, who played cornet and fluegelhorn as well as trumpet, lent his elegant tone to bands led by Lionel Hampton, Count Basie, Jimmie Lunceford and Benny Goodman. In 1962 he toured the Soviet Union with Goodman. He also worked, in concert and in the studio, with Billie Holiday, Harry Belafonte and many other singers. A soft-spoken and stately man who never appeared in public without a tie, he developed a clear and even sound that reflected the years he spent studying classical performance as a young man. He aspired to a symphonic career but gravitated to jazz out of necessity. Through the 1940s, Broadway was also off-limits to black musicians; few if any performed in the pit orchestras of musicals. It’s not clear who was the first, but Mr. Wilder was certainly one of the first — and even after he had crossed the color line he faced obstacles. Shortly after that, he joined the “Guys and Dolls” pit band, which included two other black musicians, Benny Morton on trombone and Billy Kyle on piano. The three were accepted in New York, but when the show traveled to Washington it was a different story.